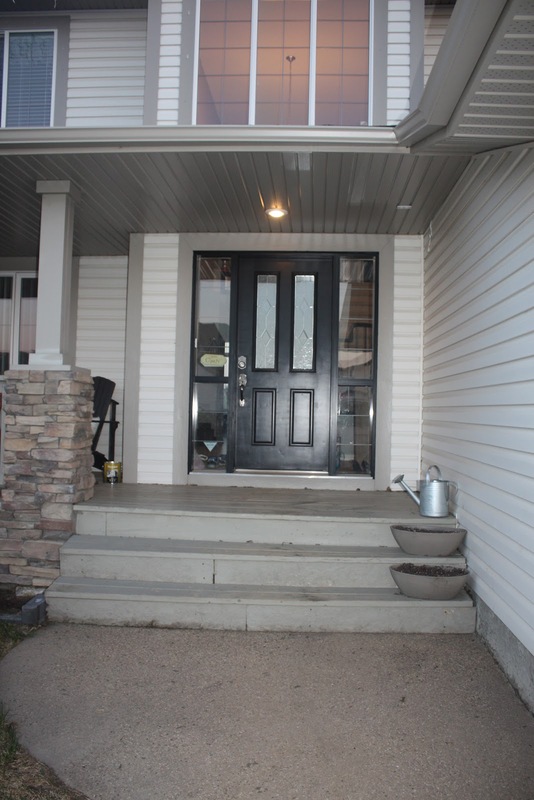 When we last left off I had shown you this photo, our freshly painted door but not so nice looking deck and steps. That needed to change, so out came the paint and muscles...mine not my husbands, he cant stand to paint (weird that opposites really do attract). 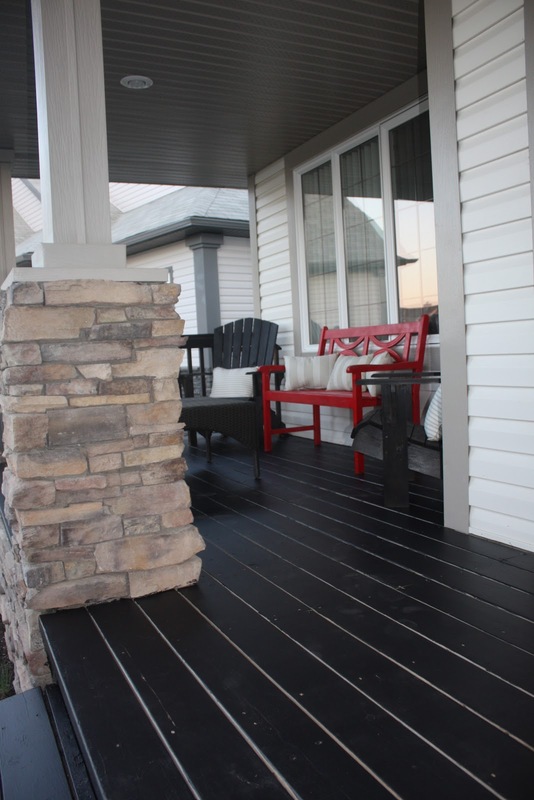 Here is a closer look at the deck. Not horrible but just not fresh. 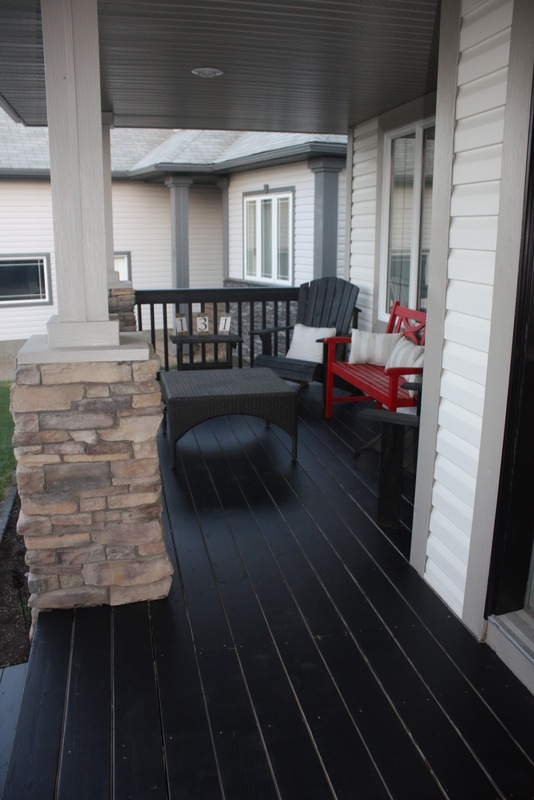 The grey/tan colored paint was doing nothing to enhance this beautiful area. 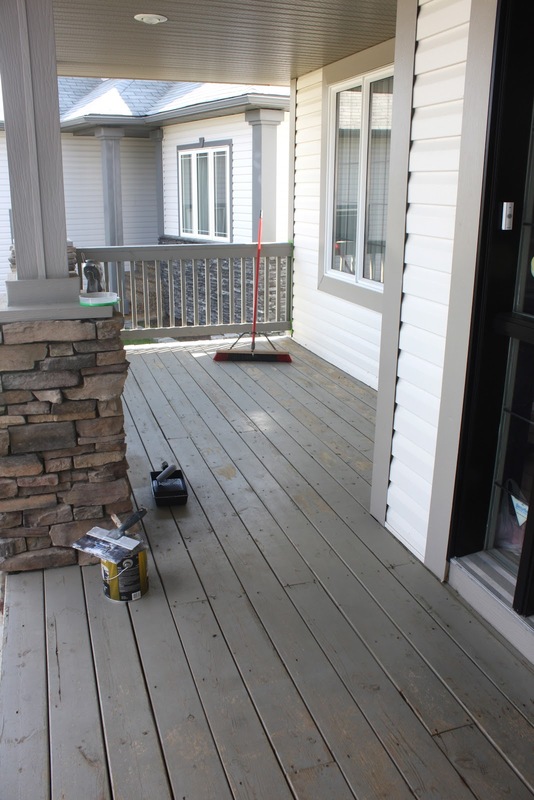 First I pressure washed off the deck to remove most of the chipping paint and to clean up any dust or dirt. Then came the scraper (OK its a plaster knife but who really cares, it got the job done) to remove any extra flaking. Next it got a good sweeping and I was ready to begin. Here you can see the improvement after just one coat of black. Two coats on and looking mighty fine (if I do so say myself). Its amazing how it can make the same furniture as before now look like it belongs. There was one last detail to complete the space. 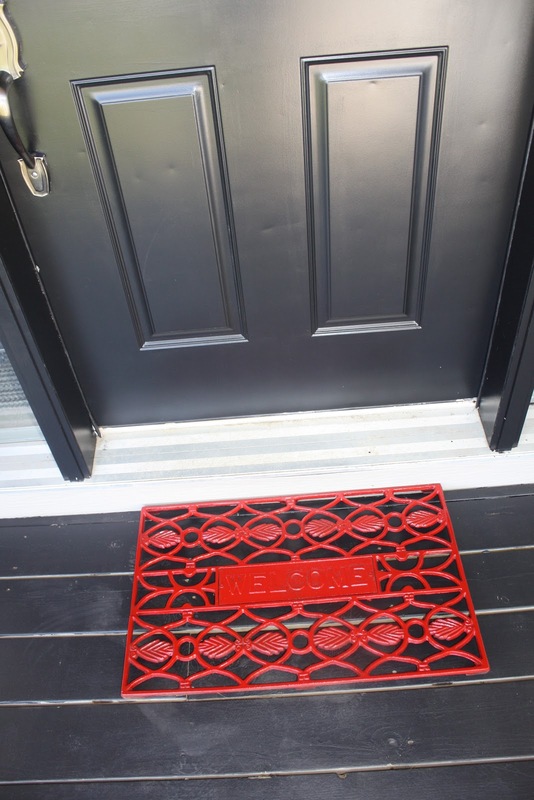 I picked up this iron welcome mat last summer at a yard sale for practically nothing. It stayed through the winter and well...it didn't come out looking so hot. It was rusted and in need of a little touch up. 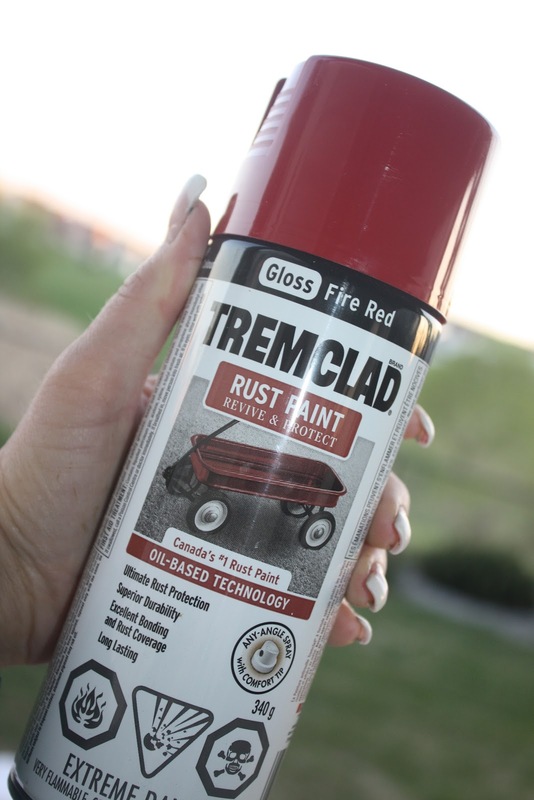 So out came the handy dandy rust paint and we were ready to roll! Now that's one welcoming mat..no? 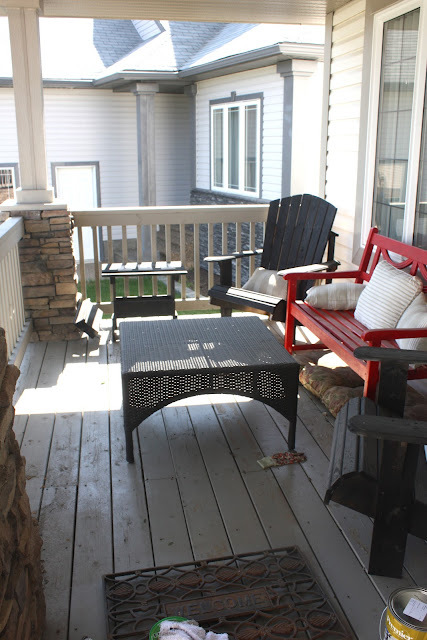 Does your front porch need sprucing up? Remember a little paint and elbow grease can take you a long way! LOVE IT! The red on black looks amazing! What a great job. This is amazing! The black is so perfect. Wow! You did an incredible job! Looks so lovely! Hi! I still LOVE it!! With a quick hose down its as good as new. There are a few places I need to touch up from general wear and tare but it has held up so nicely! 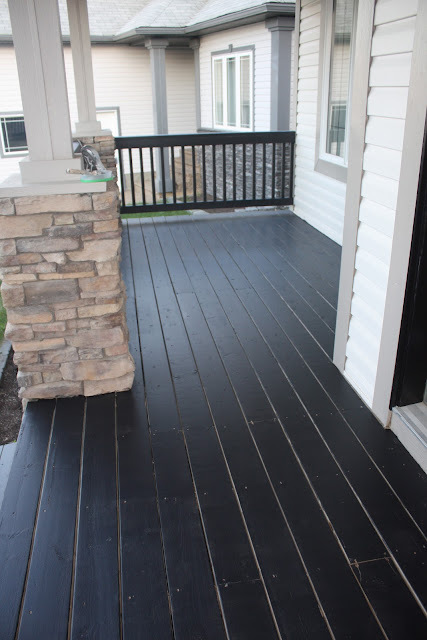 Love your deck...i just did the first coat of painting my deck black and lets say I got a big shock as it came out darker than I thought and have been questioning my decision to paint it black...can't turn back now. Still second coat to come, however, how did you get yours so glossy looking as mine looks matte? Is your black porch hot on bare feet?